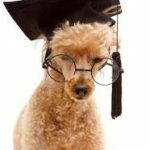 The wonderful Academy for Dog Trainers, and my Alma Mater, is at it again! 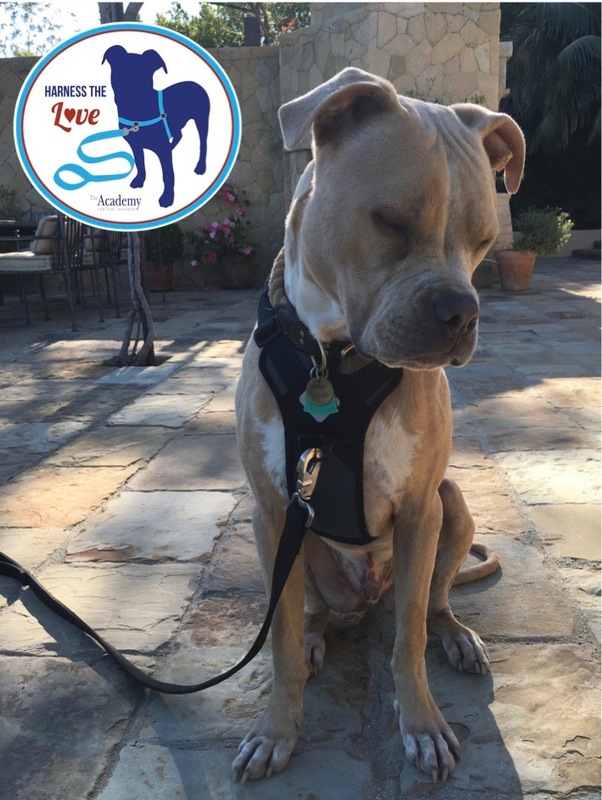 This time it’s #HarnessTheLove, a week long social media campaign to highlight and promote the use of no-pull harnesses. Hope you’ll join in the fun, take away some useful tidbits, and share the knowledge. Of course the Inquisitive Canine is participating! 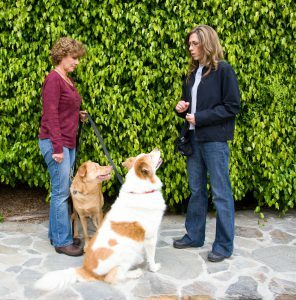 As a certified professional dog trainer and behavior consultant, I’m all about force-free training, pawsitive reinforcement, and the use of aversive-free equipment – specifically harnesses that allow for both front-clip and back-clip leash attachment. This special campaign is all about highlighting the use of these types of harnesses, while focusing on educating people what to do, rather than shaming or finger-pointing for choosing other types of equipment. Why do I love harnesses? First, they take pressure off your dog’s neck and distribute it across a larger body area, unlike traditional collars, making it more comfortable for your dog. And a comfortable dog is in position to learn better and often more readily. Harnesses also give you a vantage point in communicating with your inquisitive canine, as it is easier to feel movement, any tension, and energy through the leash. 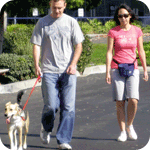 Let’s take a look at loose leash walking, meaning your dog is walking in a relaxed state on a leash while being allowed to explore and sniff within the length of the leash with no pulling, tugging, or lunging. Sound too good to be true? Well, a harness helps makes this possible. Think about the traditional collar and leash from a dog’s perspective. Many dogs experience sharp pains in their neck, feelings of being choked, not being able to breathe, and what can be perceived as feelings of stress and frustration. There’s no reason for that with such a wide variety of harnesses available. As a matter of fact, I’m so on-board with harness use that I’ve even started my own dog product company called TransPaw Gear™, LLC and am in the process of launching the official TransPaw Gear™ dog harness! 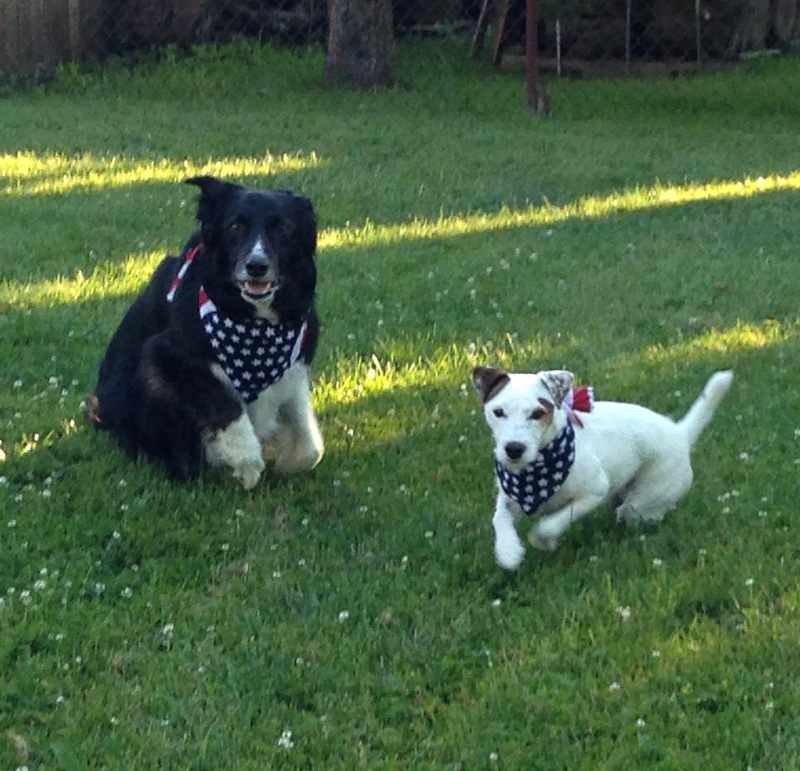 A dog-friendly, user-friendly, multi-purpose harness that puts the FUN in FUNctional! Want more info? 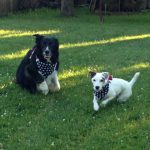 Check out our TransPaw Gear™ dog harness webpage – And, if you’re so inclined, “Like” us on Facebook! 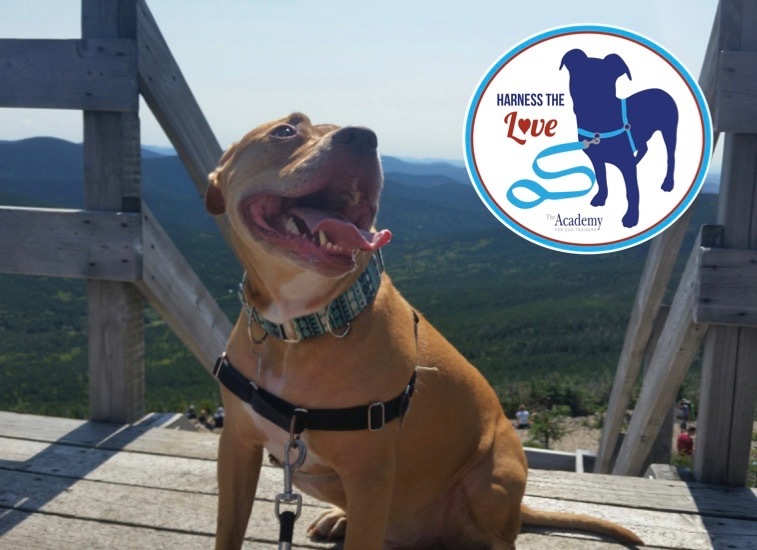 But, this post, and the #HarnessTheLove campaign isn’t about self-promotion, it is about educating the community on the importance of using force-free methods and equipment with their inquisitive canines! I’ve always said that dog collars are like wallets: they should be used to carry identification and complement an outfit – or fur. So, what products should you use? The Freedom No-Pull Dog Harness which has front and back clips to discourage pulling. It also has a velvet lining on the strap to prevent chafing behind the legs. Recommended by trainers and inquisitive canines alike. Softtouch Concepts, Inc. Front-Connection™ harnesses offer a number of sizes, colors, and prices, without the use of restrictive designs. One of Poncho’s favorite. My personal and professional opinion is dogs would most likely rather run around naked than wear any type of collar or harness. But, to adapt to our human world, they’ll put up with our requests for sporting an article of clothing – or two. The least we can do is help make them comfortable. So, tell me, how do you and your inquisitive canine #HarnessTheLove? 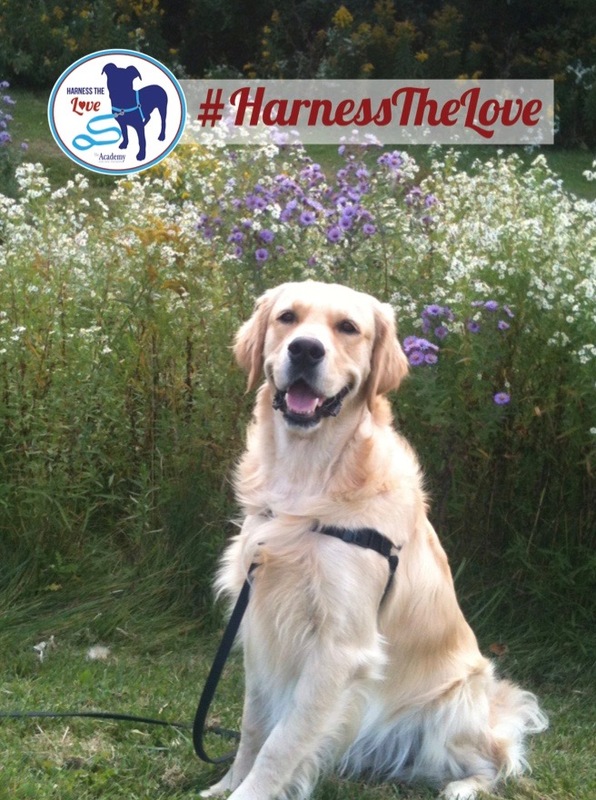 Please share your #HarnessTheLove story. It’s easy on Facebook, Instagram, your own blog, and with friends at the dog park! 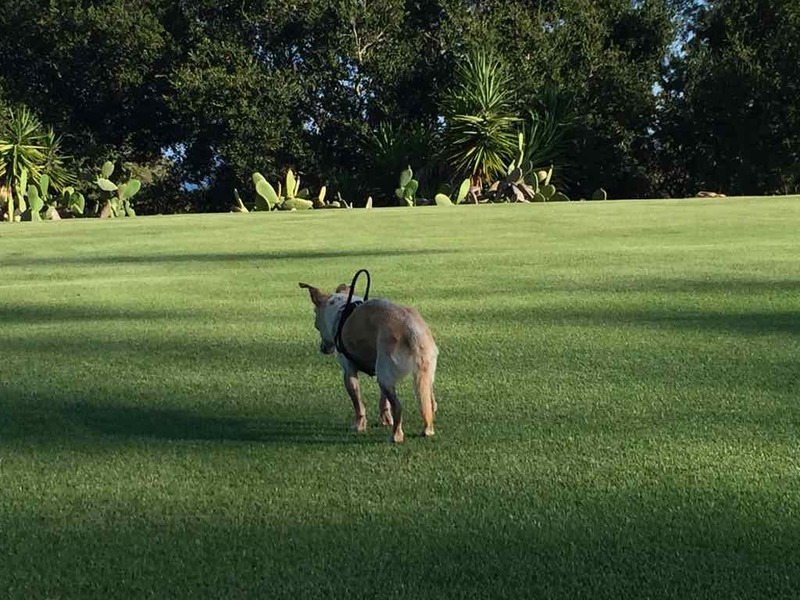 In July 2015, the Inquisitive Canine team supported CEO Poncho the dog’s entrepreneurial decision to start his own ventures in the great beyond. A philanthropic pooch through and through, he left behind a letter to his dear readers and fellow inquisitive canines, along with a three-part series in his Last Woof & Testament that generously included the following valuable advice for dog parents and their inquisitive canines. Greetings, inquisitive canines and dog parents! What follows is the most personal and difficult post I’ve ever had to write in my blogging career, let alone in this Great Beyond series. That’s because it’s about learning to let go of earthly life, which I know firsthand isn’t easy to do. 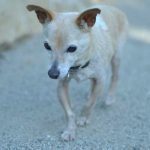 If you’re struggling with an end-of-life decision about your companion animal, it’s likely you’ve gone back and forth about whether it’s the right time to help your best fur friend transition. Just know that it’s normal to be unsure. It’s normal to waver. It’s even normal to throw your hands up in the air out of frustration and start sobbing. So just how do you know when it’s time to let your beloved companion animal go? People kept saying to my parents, “You’ll just know,” and they didn’t understand the concept at first — since it’s such an individual decision — but they eventually found it to be true. 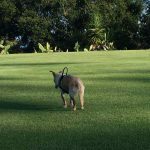 These common canine behaviors are helpful in determining overall quality of life, because you can use them as your baseline at first, and then later as your litmus test when they develop symptoms. 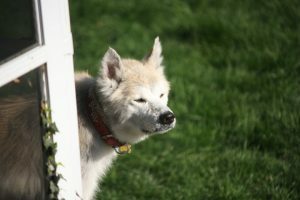 If your dog used to do any of these habits, and then the habits suddenly stopped – and that stoppage isn’t part of a training plan – that could be an indicator of illness. It’s like parents of human children getting suspicious when the house is suddenly quiet: “What are they up to?” Something must be wrong. Next, think about your dog’s daily routine and the things he or she loves to do. Does your dog want to play anymore? Does your dog enjoy the same activities he or she always has? 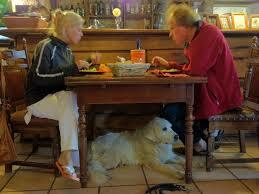 Or does it seem as though your dog prefers to spend time in hiding or wanting to be alone? I’m sure that more than anything, you’d like your dog to want to do all the things they’ve always enjoyed doing. For example, my parents wanted so badly for me to enjoy romps at the beach again, wanted me to snuggle or play kissy face like always, and wanted me to keep on weight. Seeing symptoms like the ones I’ve described above are always difficult for pet parents. No one wants to see animals suffer, especially their loved ones. Oftentimes though, it’s more painful for the parents than for the animal. Try your best to determine your animal’s quality of life. But how do you do that when your dog can’t verbally express to you everything he or she is feeling? Body language is a great and useful tool. In addition, here’s what helped my parents: The Ohio State University Veterinary Medical Center’s quality-of-life scale for determining end-of-life decisions. Searching for help in trying to determine what “You’ll just know” really means, my mom found this document online and she and my dad took the test a month before helping me transition. The questionnaire takes you through 25 descriptions of common symptoms (ex. “… is sleeping more than usual”) that you can chart to varying degrees. Notice that all the points to consider on the chart use the phrase “it may be time to discuss euthanasia.” The key word here is may, because every animal is different, and it’s an extremely individual decision that no one else can make for you. One of the most effective ways to make such an important decision is to ensure that everyone in the family is in agreement. Otherwise, you risk someone experiencing feelings of resentment that almost always bubble up to the surface after the fact. 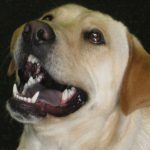 When my parents said they’d rather leave the decision up to me, the specialist cautioned them that canines are not wired to make the decision, because it’s instinctual for us to do all we can to survive and not let on that we’re declining (just like it’s in our DNA to not let predators know we’re ill). She went on to say that few canines pass quietly in their sleep, and that if it gets to the point where a dog decides to die on his own, it’s a certain indicator he is suffering. After taking all this in, my parents wanted to wait for my regular vet to return from vacation. In the meantime, they saw a grief counselor, who advised that they should allow me to pass with dignity. Even though I was ready to go, my parents weren’t quite ready. It was as though I needed to teach them to be strong. I was trying to hang on for them. Slowly, I stopped being so generous with kisses and stopped trying to cuddle. Not because I didn’t want to, but because it took energy to do so, and I could feel myself pulling away. I wasn’t in pain; something inside was simply telling me to withdraw. I had fulfilled my destiny on Earth and it was time for me to move on. If you ask my parents, they’ll say that my eyes looked past them, that I’d face them but wouldn’t make eye contact. I stopped smiling and stopped wanting to interact. Even though they lovingly tended to my every need, including administering multiple medications twice a day, I appeared as though I wanted to be on my own. When my vet returned from vacation, everyone agreed it was time. My mom made me a tasty roasted pork chop and I went to sleep. I couldn’t have asked for a better transition into the great beyond. As I mentioned in Part 1 of this series, my parents sought solace in an animal grief-counseling group lead by Kathleen Ayl, Psy.D. 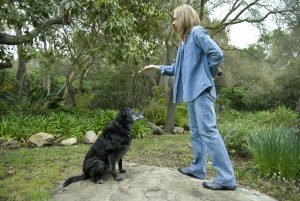 A pet grief counselor can help answer questions regarding how to know when the time is right and also teach you about helping your pets die with dignity. These group sessions helped with both anticipatory grief and connected my parents with other wonderfully supportive parents. Look for pet loss recovery specialists and pet grief-counseling groups near you for both pre- and post-loss support. 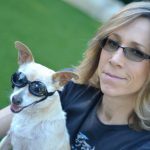 Hopefully this 3-part series has helped those of you facing pet loss or those in pet loss recovery. I’m looking forward to sharing more wisdom in the topics to come. Meanwhile, I’ll be watching over all you inquisitive canines and your families as I bound around the fields of grass in the great beyond. Watch out for falling tennis balls! 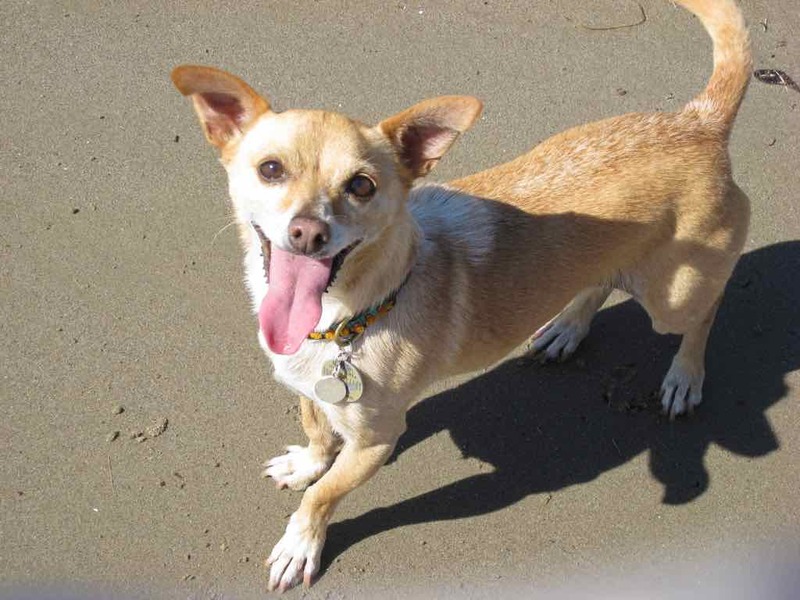 Poncho Speaks from the Great Beyond, Part 2: Will Adopting Another Dog Ease Your Grief? I’ve heard through the grapevine that some well-meaning friends have asked my mom and dad when they’ll get another inquisitive canine. It’s a tough question, because even though my parents adore canine companionship, I know they’ve barely begun their grieving process. Making the move to get a dog is an extremely individual decision. Professionally, I know my mom is comfortable being around other dogs right now. But as far as personal visits when she’s not working, it’s hard for her to be around dogs without getting teary-eyed. Some pet parents who’ve lost a furry friend refuse to go through heartbreak again. You know how some people choose never to remarry after the passing of a spouse? Some dog parents choose not to adopt again, and often channel their affection for canines toward being a loving “aunt” or “uncle” to friends’ or relatives’ dogs instead. Then there are those pet parents who after undergoing a period of grieving, are ready to open their hearts again to another dog. 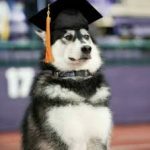 What’s important to remember is that any of these choices are valid, and the way you choose to handle your grief — and your timeline for doing so — is perfectly OK.
Take your time to make sure you’re ready, so you can fully devote yourself to a new loveable animal who will welcome you with open paws and an excited tail wag. What can I say? They found me charming! Guess what? They unequivocally charmed me, too. Another big consideration is finding a pooch that fits your lifestyle. Not only did my personality make me the ideal candidate to be a helpful assistant to my mom and the Inquisitive Canine’s most trusted product tester, but also, my size complemented my parents’ daily lives. My tiny frame meant I was perfect for lap-warming duties and made it easier for us all to travel together. Don’t know where to start? Make a list to prioritize what matters most to you and you’ll be able to narrow down your choices. Pet adoption is a huge commitment. So before you take that step, it’s important to know about other available avenues for canine companionship. Fostering canines is a great way to enjoy doggie cuddles without making a long-term commitment. It’s also a big help to local shelters trying to find loving homes for several pooches at a time. Fostering also enables pet parents to get to know different breeds and personality types, which in turn helps them later choose which type of dog they might like to adopt next. Another option is to volunteer at an animal shelter. 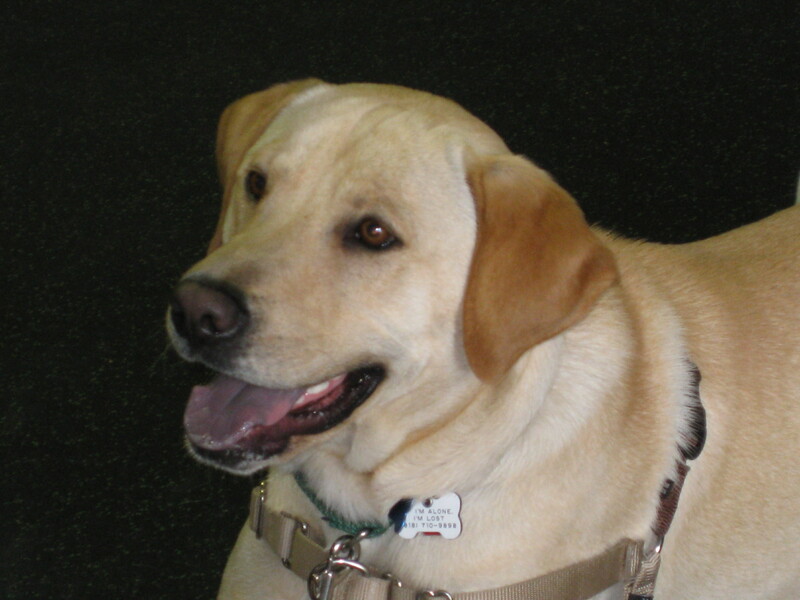 Again, you’ll get to know all kinds of dogs and make a significant difference in their lives. You could also offer to dog-sit for friends and family, or become a dog-walker and build a daily bond with a pet family. So, how will you know when you’re ready? The answer is, you’ll just know. When you’re open to welcoming another canine into your family, you’ll see a dog and little hearts will dance over your head and over the dog’s head as well. It’s a beautiful thing! My mom said she saw something in the soul of my eyes and immediately felt a bond. Trust your instincts and be patient. You’ll meet your match when it’s the right time. Let’s face it: Caring for a different species altogether involves taking a risk. The flipside of being together is the eventual separation that the circle of life requires. 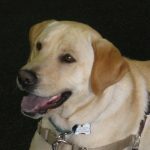 But life can be so much more meaningful with a canine companion at your side, and while dogs and humans practice different communication styles, keep in mind that we all have the same wants: comfort, love, trust, someone who won’t judge you when you cry, and another being to help make you laugh. 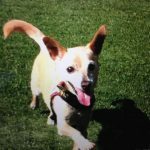 Posted in: Straight From the Dog's Mouth, This & That Leave a Comment on Poncho Speaks from the Great Beyond, Part 2: Will Adopting Another Dog Ease Your Grief? Poncho the dog here. I’m always happy to be speaking up for those who want to be heard, and this time, I’m doing so from my new residence: the great beyond. I dearly miss my parents — they shared the best cuddles and warmest smiles — but I’m happy to report I’m comfy here, so please tell them not to worry! Speaking of my mom and dad, some of you, especially those of you hearing this news for the first time, may be wondering what you could possibly say to them to comfort them during this difficult time. 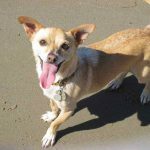 I’m happy to answer that, and since my answers apply to any animal parent who is grieving, here’s what to say — and maybe what to avoid saying — when talking with a pet parent who recently suffered a loss. The loss of a pet can be devastating to a family. For many animal parents, it’s like losing a child. So try to think empathetically before you speak. Put yourself in their shoes and imagine what you would like to hear if it were you. Just as I hear many humans talking about how important it is to listen, that’s the best approach here. Ask how the person is doing and just listen. Don’t try to be a problem-solver. Just listen. The shoulder and/or ear you lend might be exactly what‘s needed in that moment. When you’re talking with a grieving friend, I know it can be difficult to think of something to say. We’ve all heard the phrase “I’m sorry for your loss,” but try to personalize it a little. If you’re not feeling creative, say, “I’m so sorry that you’ve lost [pet’s name].” It’s a good start, and you can follow it up with a sentence that asks about their life together (ex. 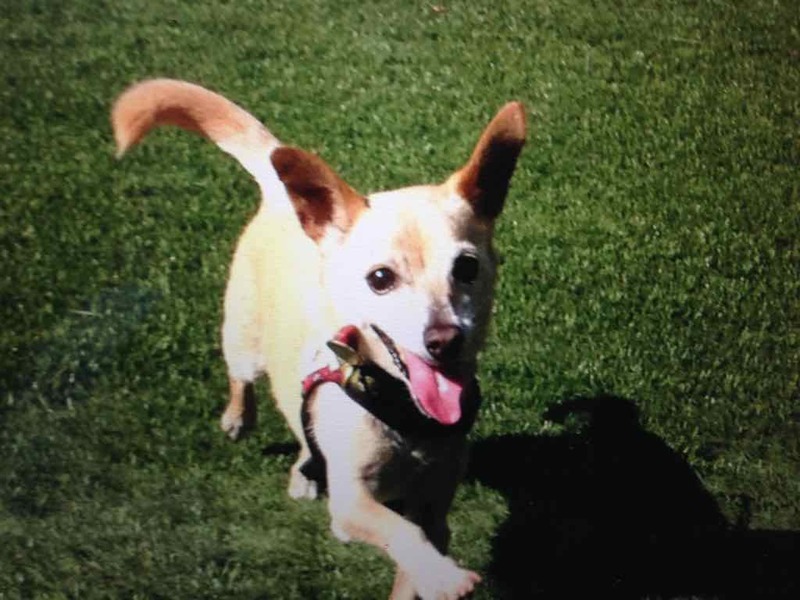 “Where did you get Poncho?” “What did you guys like to do together?”) These are great conversation-starters that will allow pet parents to focus on fond memories. If the person isn’t ready to talk, honor their feelings. Some people might say, “I just don’t know what to say …” That’s perfect! Don’t say anything. Just offer a shoulder or a hug. The longer you’re with an animal, the stronger the bond between you, so hearing this makes that reality more painful. My dog is is 12 years old and we’ve been best friends since she was a puppy. In the last six months or so, Violet has been acting very strange. She used to love snuggling together while watching a DVD, but now she growls at me if I pet her. We used to love ruff-housing and wrestling. Recently, Violet bit me quite hard and scared me. As dogs age, it’s natural for behavior to change. They slow down, and their senses aren’t as keen. A sharp, sudden change in behavior could indicate a medical issue. Photo by Elizabeth Tuz. Also, it seems she doesn’t listen to me any longer. Doesn’t come when called; won’t follow commands. It’s not only the bites that have hurt me. My feelings are very hurt. I’m losing my best friend and I don’t know what to do. Thank you for reaching out and connecting with us. We can only imagine how traumatic this situation is for you and your family — including Violet. We know you are in a lot of pain, and I’m sorry Violet has hurt you. Our first response is to suggest having Violet evaluated by her veterinarian. Sudden changes in behavior in any animal can be cause for concern. Her age, not wanting to play like she used to, and other indicators may point to a medical condition. If it turns out Violet is in perfect health, then behavioral aspects can be addressed. Meanwhile, if she is uncomfortable or what she once found motivating has changed, you’ll want to follow her lead and interact on her level. Continue your keen observation skills: watch her body language and how she responds and interacts with her environment. Maybe change playtime to more gentle games. How about teaching her some new tricks? She might enjoy learning to wave (paw raise) or hand-targeting (touch her nose to the palm of your hand). It’s important to keep her engaged in mental and physical activities. Thanks again for writing. We’ll be thinking about you and Violet. And, please keep us posted. We love updates. Joan and Poncho love making new friends. 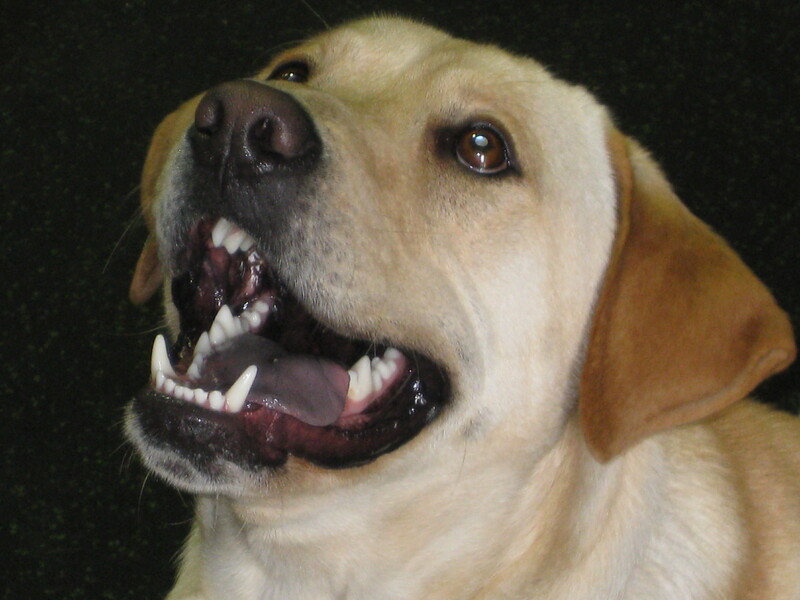 Post snapshots and videos of your favorite Inquisitive Canine on their Facebook page.